If defense is the hardest part of playing bridge (and it is!) then defending at matchpoint scoring is the toughest challenge a player can face. Every trick matters, irrespective of the contract, and every decision is potentially critical. ?In?Thinking on Defense?Jim Priebe introduced the idea of visualization, picturing likely hands for declarer and basing defensive strategy on those. 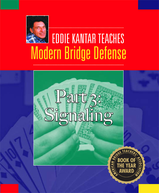 In this book he show how to apply the same methods when playing in matchpoint events, which means essentially every pairs competition. Become a better defender! So you tend to get dealt very bad hands. I know exactly how you feel! But, facing the facts of life and recognizing that it is not your fault, you are going to have to accommodate this failing and improve your defense. It's a hard part of the game; even in international competitions, the standard of defensive play is, to put it kindly, modest. Yes, you will get plenty of reports of brilliancies involving spectacular switches, deceptions, unblocks and discards of honors. But for every one of those, there are countless others in which the display would disgrace any beginners' class. I am going to assume that you are a regular club or tournament player who knows the basics of defense but who comes unstuck when it comes to situations where you have to work the hand out in detail. 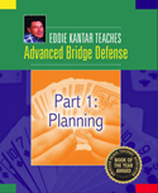 This book will help you to improve dramatically in this area. 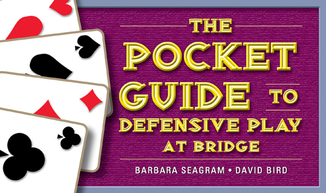 This is a book of problems in defensive cardplay, all the deals being selected from real events. And that means that for once in a problem book, you're not up against a declarer who will always play perfectly. Indeed, sometimes the point of the problem is to take advantage of the opportunity that a slip by declarer has given you. As the title implies, the emphasis throughout is solely on defeating the contract. You are playing teams, not matchpoints, and the number of undertricks or overtricks is irrelevant. You are being encouraged to seek out the critical fourth trick against a major-suit game, the fifth against 3NT, and so on.